The doctor-patient visit can be a psychologically overwhelming experience for the patient. The unfamiliar setting, the comprehensive examination, and the medical terminology can confuse and disorient the patient at a time when they need to be an important part of the interview process. 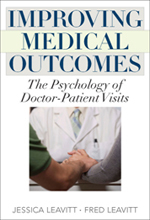 This insightful book explores this situation and gives important insight into doctor-patient interactions. As the Baby Boom generation enters their retirement years, how we utilize medicine and its application in our day-to-day lives becomes increasingly important. 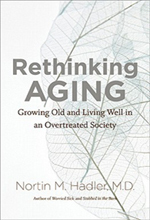 This book investigates the aging process and provides the reader with insight into when medications are overprescribed and when treatments of questionable necessity are recommended. The commercialization of medicine and its marketing to the elderly is presented with an eye towards thoughtful use of the healthcare system. 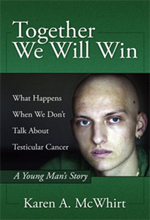 Written by a mother about her son’s battle with testicular cancer, this book is an extraordinary story of one young man’s challenge with this little-discussed condition. The book is enlightening and highly personal, drawn from private journals. It gives instructions for self-examination to detect the condition early. This book is a cautionary monograph about a young man who lost his life too soon after a heroic battle with a little-known malady. Magnificent nocturnal aviators, bats’ navigating abilities with natural sonar have always amazed humanity. Although feared by some humans, bats are beneficial to the environment through eating insects and maintaining balance in the natural world. 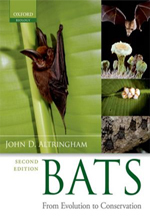 This extraordinary book looks at bats and the challenges they face in their environment today. Conservation of bat species is examined in this touchstone book filled with excellent high quality images. 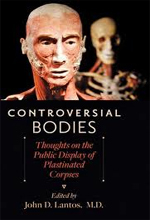 This engaging monograph looks at the practice of transforming human bodies into a plastic material for display purposes. In a series of superlative essays, writers and medical experts examine the reasons these vivid displays dazzle, educate, and horrify us. This book will inform you about this provocative practice and the often strong and deeply held beliefs people have about it. 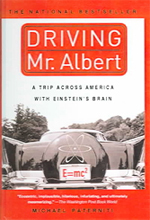 Certainly one of the most curious of travel narratives, this work is the remarkable story of a man on the road with Albert Einstein’s brain. After his death, Einstein’s brain was collected and preserved for scientific study in an effort to determine the nature of human genius through the study of the brain. The author tells the tale of two men traveling with this organ from New Jersey to California in the 1950s in some of the strangest of circumstances. This engrossing book will fascinate and beguile the reader. This entry was posted in Books, New Materials. Bookmark the permalink.